For over two years, Adobe Stock has been a great stock photo platform not only to Creative Cloud users but other members of the creative community as well. Their collection has grown to include millions of inspiring images from Fotolia contributors and other artists around the world. Whatever you are looking for, you will surely find it inside here. 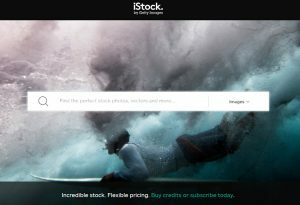 Adobe Stock, now offering one of the largest stock image libraries in the market, has some unique features that makes it worth considering. It is available in most countries and in twenty languages. It boasts a simple pricing at $9.99 per image. Subscription plans and credit packs are also available in the stock site. You can choose whichever suits your creative needs and budget. 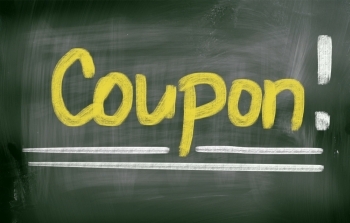 Subscription plans vary between month-to-month and annual commitment. Annual plans with 10 and 40 assets per month come with a free 1 month trial. Try it. It’s cancel-risk free. If you continue the plan, you will be billed monthly for your chosen contract amount. For contents you can’t get with a plan, you might want to explore Adobe Stock’s credit plans. Photos, vectors and illustrations cost between 5 and 50 each. The lowest pack comes with 5 credits. The bigger the pack you buy, the bigger your savings. All credits last a year from the date of purchase. They don’t auto-renew, so you just buy more when you need to. Plans or credits, which is the best option for you? Plans are best for typical creative needs. They are priced for value and are applicable to standard downloads of images, templates and 3D. On the other hand, credits are best for content not included in subscription plans. They are priced for flexibility and are the best deal for video and premium collection. If you can’t decide, you can combine them. The best thing about Adobe Stock is that it is integrated with all Adobe software platforms. Whether you are using InDesign, Photoshop, Illustrator or any Adobe desktop applications, you can design comp images and license them after approval right inside them. You just have to find the perfect image to enhance your creative project. Then, you can preview the watermarked images inside your designs and license them directly within your favorite CC app. What if you are not using any Adobe product? Don’t worry. You can still download images from the stock photo website. However, there are a number of benefits you won’t be able to enjoy such as the ability to preview, manage and license images before completing your purchase. Fresh, contemporary images from leading artists are waiting for you. Starting at $49.99 each, you can surely make an impression with the premium collection. To save on premium images, we suggest you get credit packs. A 40-credit pack allows you to download 8 premium images. Sign up to Adobe Stock and get all the content you want with a credit pack or subscription.